Enjoy a night on the tiles to remember with our exclusive Warwick party bus hire service. This outstanding bus has been built to our own specifications, guaranteeing a truly unique and luxury experience. Whether you’re looking to head to a specific venue or take the party bus on a tour of Warwick’s great nightlife scene, we have a hire package to fit your needs. Our luxury party bus is often dubbed the nightclub on wheels. It has everything you’d expect to find in a club including impressive surround sound, bright neon lighting, a disco floor, three bars and even a dance pole. You really don’t need to leave the bus to have an incredible evening. The bars can be fully stocked upon request, though this will be reflected within the hire cost. A free complimentary bottle of bubbly is included within the initial cost, but more is available upon request. 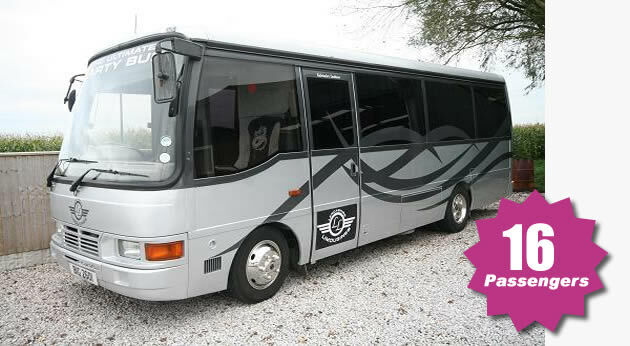 Customers choose to hire this exclusive bus for a wide range of events. Most popular with hen and stag parties, it’s great for any event that you want to make extra-memorable. Some customers even choose to hire the party bus for their wedding. You could use it as a unique reception venue for a small group of guests. If you do choose to book the bus for your wedding, we have several great hire packages on offer. These are designed to save you money, as well as ensure the bus looks wedding worthy. The party bus Warwick isn’t just impressively kitted out for a party. It is also built with exceptional comfort in mind. The seating is covered in luxurious leather. As you sit down after a long night of partying, you’ll sink into the comfort of the wave-shaped seats. We strive to offer the most affordable party bus hire prices. We often provide discounted packages too. These change regularly so we always recommend taking a look at our current package deals before booking. It’s also worth noting that we offer discounts when you book more than one vehicle through us. So, if you are searching for the perfect wedding transportation for example, you could book the party bus for the reception and two separate cars for the bride and groom to arrive in. This would save you a significant amount compared to booking them individually. Our low costs don’t sacrifice on quality either. Our customer service is unbeatable. Whatever your requests, we will strive to meet them. Our chauffeurs have been hand-selected and have undergone extensive training, ensuring you enjoy a professional, friendly and reliable service. 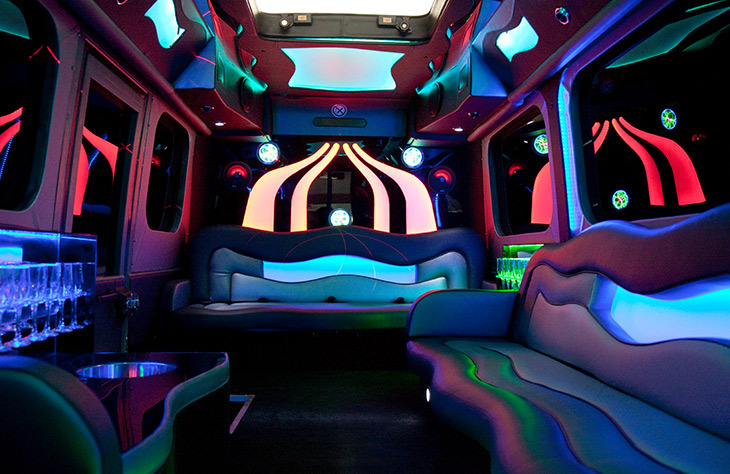 Overall, when it’s luxury and fun you’re looking for, our party bus Warwick service is highly recommended. It’s more affordable than you might think and guaranteed to help you enjoy a memorable event. 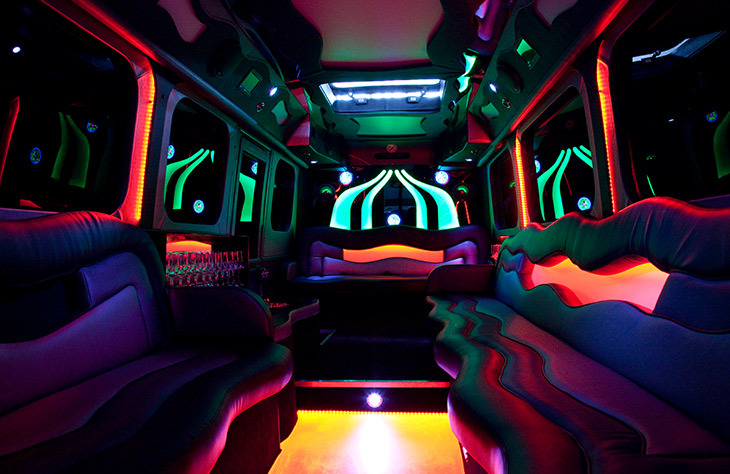 Call us now to book this exclusive party bus, or to arrange a viewing to see just how unbelievable it truly is.